NOW, there’s a fast, proven, and fun-filled way for your child to get the absolute BEST martial arts training that will literally EXCEL them in EVERYTHING they do! Harness the power of laser-like focus! She’ll be able to block out distraction almost at will. Stand up for himself without being abusive or offensive! Sending off a powerful yet subtle “vibe” that displays confidence & assertiveness. Better Grades and Better Friends. 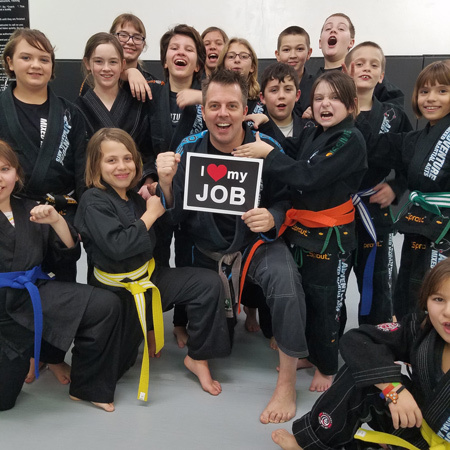 Nothing raises grades more than a child who is confident and has a high level of self esteem and that’s what our martial arts program will do for you. Own the speed, coordination, and agility that it takes to enjoy sports, gym-class or recess. Now, your child will never get “picked last” because of her new found mastery of motor skills. WHAT ABOUT PEER PRESSURE? Only at Parma Martial Arts does your child learn techniques so they becomes champions in life who stand up for what is right and respect their bodies. I am offering 2 private lessons so you can see for yourself how Adventure Martial Arts can help turn your child into a confident leader with excellent focus while learning self defense. You child will also learn our Bully Buster and “I Can” character development program. We build martial artist from the inside out. Before or during our karate lesson, we will meet one-on-one to discuss your child’s needs and your child’s progress. We will educate you regarding our program and help you understand the developmental process for your child. We will give you tips on how to reinforce your child’s development and share with you how our martial arts school can help you achieve you and your child’s goals.. Your child will feel like a million dollars in their official martial arts uniform. It’s included in our Web Only Special. Our Martial Arts Program Will Give Your Child The Skills To Succeed In Life. Better Focus & Increased Grades! More Confidence and Self Esteem. On the day of your child’s Martial Arts class, please bring a camera and get ready to see your child beaming with pride. STILL NOT SURE? 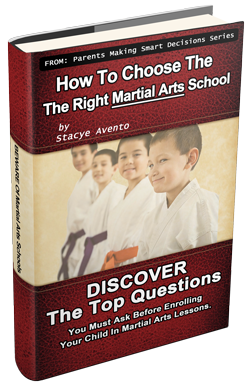 Then get on our email list and get my FREE book that reveals EVERYTHING you should know before you start your child in Martial Arts.